We are pleased to announce our 132 issue of the openSUSE Weekly News. This week comes up our new openSUSE 11.3 final. We are very happy about that. if you would like to have a openSUSE Box Version with Handbook, 90-day-Installations Support and the Balsam Extensions (Special Extensions for Notebooks), you can get it here. "The openSUSE Project is pleased to announce the release of the latest incarnation of openSUSE, with support for 32-bit and 64-bit systems. openSUSE 11.3 is packed with new features and updates including SpiderOak to sync your files across the Internet for free, Rosegarden for free editing of your audio files, improved indexing with Tracker, and updates to Mozilla Firefox, and Thunderbird. Among these many new features, openSUSE also provides support for netbooks and the Btrfs file system support. 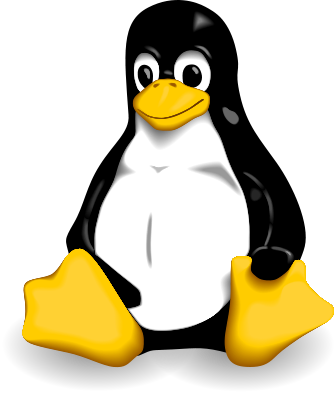 Users can expect to see improved hardware support with the 2.6.34 Linux kernel and updated graphics drivers. And support for the next generation of interactive computing for touchscreens like the HP TouchSmart. (...)"
"We had a successful openSUSE 11.3 launch yesterday. The announcement itself saw many friendly comments. Many people retweeted the announcement from @openSUSE. Besides the announcement on news.opensuse.org, Novell released a press release and distributed it through the press channel. We’re collecting all press mentions of the launch in the openSUSE wiki. A couple of launch parties were held and more parties are upcoming, reports from them will show up on Planet openSUSE soon. So far I’ve seen a report about the launch in Bucharest and in Nürnberg." "We just switched to the new wiki. So here it is. And now? Let me explain what you can do to help! Every user of the wiki has a personal page and we did not transfer any of them. We wanted to use this opportunity to brush them up and standardize them. Your userpage should be your first task in the new wiki. If your username is Geeko, just go to http://en.opensuse.org/User:Geeko and press “create”. After that load the userpage teamplate by pressing on the “Load” button. Then fill out the form and you will get a nice standardized userpage! (...)"
"Anyone can become openSUSE member after showing continued and substantial contribution to the project of any kind (bugs, support in forums, wiki edits, code contribution etc.). For those who don’t know what openSUSE Membership is or how to become a member I suggest to read this wiki article or older blogpost by Andreas. In both cases, an email is sent automatically to the user informing about the result. If the membership is approved, additionaly admins are informed, so email/cloak/lizards account can be set up and Weekly News team can present the new members in the separate section in OWN. The officials team currently consists of 16 very active community members, who can be reached on email address membership-officials@opensuse.org and their list is in the mentioned wiki page." "SUSE GmbH has currently a job position open for an OBS Developer. Find details on the job position page at Novell. The downside will be of course that you will have to work together with people like me ;)"
It comes bundled with a wealth of softwares carefully selected to meet every need. Educational softwares covering wide range of subjects such as IT, mathematics, chemistry, astronomy, electronics etc catering to students right from preschool to research." "openSUSE 11.3 will be released tomorrow, and some of you have already asked when you will be able to build openSUSE 11.3 based appliances in SUSE Studio. In SUSE Studio we try to always support the latest version of openSUSE, so right now we are working on the adaptations needed to support 11.3 builds. It won't be ready at release day, but we hope to be able to add it within the next two or three weeks. You might already know the feature to upgrade an appliance from an older openSUSE version to the latest one from older openSUSE appliances. We will also add this for the transition from version 11.2 to 11.3, so don't worry about going with openSUSE 11.2 as a base system for now. You will be able to upgrade your appliance to openSUSE 11.3 with a simple click of your mouse later (...)." "In a few days openSUSE 11.3 would be released and I did last days som screenshots for the documentation in the wiki from the installation process. And I have to say it looks not what the distribution deserve. In 11.2 we had a design problem too, the boot splash was made from jimmac and looked really different from the KDE desktop. For 11.3 we tried to avoid that and jimmac made a good looking wallpaper what looked KDE-styled. Pieces of that wallpaper are used in some other graphics for the distribution. For example in the installer. So now take a look for the installer. The black geeko looks a little bit wrong. There are so different icons and colors used in the installer so that it looks a little bit as done without love. I think we should change that and so I made some mockups how can look the installer in the future." "Month ago I had to fix small typo in my spec file and ... no osc command-line tool around ... so I used buildservice webclient. I found that, it can colorize content of spec files in view mode (using syntaxhighlighter), but in edit mode you got clean text. So I created openFate#309852 request. I looked around what could by used to colorize spec file in in-browser editor and I found codemirror js library. I played with it and after while I created simple plugin to colorize spec files - it isn't perfect, but could be improved easily. Check sources and live demo (don't be scarred by virtualbox-ose spec file:). Codemirror library looks realy good and I was surprised how easily could by integrated in to our obs webclient. (Thanks to prusnak for hints...) (...)"
Repositories: 21426 (-1589) by 23850 (+113) confirmed users. "With Mono 2.8 we want to make it very easy for developers to use the LLVM powered Mono engine and the new Mono Garbage Collector. Previously users had to build Mono from source code and choose as part of their build whether they wanted the Mono VM to be powered by LLVM or not and whether they wanted to use the Boehm GC or the new Generational GC. Typically users would have to keep multiple parallel Mono installations. This is no longer necessary.(...)" Why not implement a small set of packages with one interface like KDE or GNOME named sever GUI?" "Once a package install/system update has begun in Software Manager it's not very easy to stop it. The 'Abort' button doesn't really seem to work and if you force kill the process, you likely end up with broken packages. It would be nice if first all the packages were downloaded, and then installed (like it is in Ubuntu), rather than the sequence of: Download Package 1, install package 1, download package 2, install package 2 and so on. That way the installation could be aborted safely during the downloading part with no fear of broken packages." "Wireless interfaces currently can not be bridged. In Windows XP it is quite easy to create and operate a bridge, saving one to setup and maintain all sorts of route information. It would make sense to support the bridged configuration in sysconfig when hostap implements 802.11c." codecs is important part of system and most peoples use it anyway, bye or install from packman repo, but why peoples in countries where disallowed software patents should care about it?" "Often users don't know how track problems and there's no simple sollutions for begginiers. I think, that adding additional fields to .desktop files will helps a lot. Thease fileds should been named DEBUG_MODE_ON and DEBUG_MODE_RUNNER. Once DEBUG_MODE_RUNNER is not present, there's should exist mechanism to debug(ex. running konsole and application on it ; or better redirecting stderr and stdout onto file and asks user to display it/send/etc. after application quits)." "Move to an annual major release with an additional bug-fix remaster. An Example of How it Would Work: (...)"
"In the past years, netbooks and other computers without a CD/DVD drive have become more common. 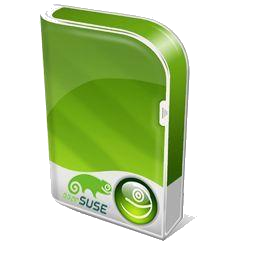 While there is http://en.opensuse.org/SDB:Live_USB_stick , there has always been some confusion among users on which openSUSE iso images are suitable for USB boot and on how to get them working. People have been finding out the hard way that DVD and NET isos can not be used as easily. ..."
"Currently, openSUSE 11.3 does not much to preserve my battery while being unplugged. Intel's powertop came up with many good suggestions that cut the power consumption on my laptop in half! It would be quite a good idea to make the powersave profile do a little bit more than just dim the screen and throttle the CPU. Other suggestions: (...)"
"As you may know, Windows 7 already implements a 6to4 adapter for tunneling IPv6 traffic seamlessly through IPv4. Thus, Windows 7 users can use IPv6 even while their ISPs or routers only allow IPv4. This makes the transition easier. With IPv6 just around the corner, I feel SuSE should be doing something like that too. (...)"
"It would be really helpful if Software Manager could find packages that aren't in any repo added. For example: a new user wants to install VLC Media Player. He search for it, but he doesn't have any repos added. Instead of an empty list Software Manager could search for it in openSUSE Build Service. After selecting an app to install and clicking "Apply" a question could appear with choice to keep or not that repository after install. It would be much easier for new users." "Enable Num Look at boot time: (...)"
"Activate keys, AltGr key keyboard shortcut by default: (...)"
"Add all the programs and also the features and maintenance characteristics of Parted Magic: (...)"
"Add support for reading and writing to NTFS, using NTFS-3G. (...)"
"Change permanently, all that refers to the name of the old SuSE Linux for the new and current name, openSUSE Linux, the operating system and throughout the entire project site openSUSE Linux. (...)"
1) Is it possible to translate somewhere content of http://www.opensuse.org/ ? I had translated some parts, but not all... Moreover, at least on Czech version is still article about release of 11.2 (there is only change in headline, but the article is NOT about 11.3) and screenshots from 11.2... WTF? 2) In SVN I translated site software.o.o including Bento navigation line, descriptions of boxes in panels and so on. But when I go for example to build.o.o or planet.o.o (sites also using Bento), the theme is not translated. Is is possible to translate all Bento stuff on one place to have everywhere same and consistent translation of the navigation line and another stuff? 3) How would it be possible to establish Czech version of planet.o.o?" "At the SUSE/Novell offices in Germany, we had a great launch party. With free beer, BBQ, sunshine, a clown and openSUSE 11.3 released, it was a great atmosphere! I gave a short demo about some of the highlights of openSUSE 11.3. I demonstrated GNOME 3 preview with GNOME Shell, the new tracker indexer, KDE Plasma Netbook interface, ksuseinstall, the LXDE desktop, SpiderOak and zypper." "We are pleased to announce our two new openSUSE Members Boris Manojlovic (bmanojlovic) and Jim Henderson (hendersj). Boris is already contributing the openSUSE Project with helping in IRC and Packaging in the BuildService. Jim is Administrator and Moderator of forums.opensuse.org. He also wrote on Mailinglists like opensuse-project and opensuse. Thanks to both new Members for contributing us." "Last weekend I went to Party Quijote, which is probably the biggest LAN party of Castile (Spain). It was organized by the regional government (Junta de Comunidades de Castilla-La Mancha), local universities (Universidad de Castilla-La Mancha, Universidad de Alcalá de Henares) and other institutions (Centro de excelencia de software libre de Castilla-La Mancha, Fundación Insula Barataria, Ayuntamiento de Azuqueca de Henares). Some of its sponsors were Cisco, Telefónica, Iberdrola and Caja Castilla-La Mancha. This year Party Quijote took place in the city of Azuqueca de Henares, which is very close to Guadalajara and Madrid. For more information, take a look at Party Quijote’s website (...)"
"At the end of last week (assuming it's okay to say that the end of the week starts on Wednesday ;-)), I went to Bordeaux for the RMLL 2010: this is simply the biggest community-oriented event in France. Since I've been traveling often lately and I'm going to leave for GUADEC later this month, I chose to not attend the whole event and to only be there for 3-4 days instead of the full 6 days experience. The Mandriva people had a really great idea this year: they proposed to try to share a booth among distributions, and thanks to them, we were able to have an openSUSE presence on the first few days. So walking down the hall where all the booths were, you could see Debian, Fedora, Mandriva and openSUSE all together. Of course, we shared more than just the booths: we're all friendly people after all, so we chatted a lot and enjoyed being together. I really want to thank Michael from Mandriva for pushing me to make sure openSUSE would have a place here. (...)"
The mail lists have: 37606 (+64) subscribers. 4815 (+53) of 12274 (+87) registered contributors in the User Directory have signed the Guiding Principles. The board has acknowledged 429 (+2) members. "TntReader is a application for reading zeno-files as used on the german wikipedia-DVD 2007. For more informations take a look at: http://wiki.zeno.org/Zeno:TntReader"
"FreeCAD will be a general purpose 3D CAD modeler. The development will be completely Open Source.As with many modern 3D CAD modelers it will have a 2D component in order to extract design detail from the 3D model to create 2D production drawings, although 2D (e.g. AutoCAD LT) is not the focus, neither are animation and organic shapes (e.g. Maya, 3D StudioMAX and Cinema 4D)." "Last month saw the opening and subsequent closing of the 2.6.35 kernel’s merge window, the period of time during which all of the exciting new features that have been waiting in the wings (and in linux-next nightly kernels provided by Stephen Rothwell) are considered for merging into the official ‘mainline’ kernel source tree by Linus Torvalds. Recent releases have often added a new file system (or perhaps two), but 2.6.35 does not add any new file systems. It does add many other new features, including support for profiling virtual machines from the host machine using ‘kvm perf’, the KDB in-kernel debugger that has augmented the existing KGDB support for remote debugging, the memory compaction patches, and memory hotplug support in the SLAB memory allocator." "Direct I/O and improved out-of-space handling for Btrfs, optimisations for XFS and OCFS2, major restructuring measures for the Libata driver and extended RAID migration options are among the most important changes in Linux 2.6.35." If everything goes well, there’s no 3D in desktop with the free open source radeon drivers. So we need to load the proprio fglrx one. Here’s a quick how to to have a successful build (...)"
"Following on from our other articles that make various Linux tasks easy, in this article we'll introduce Zsh (Z shell), a shell that has many of the benefits of Bash and others, plus a lot more on top. After reading this, you'll have a good idea about the power of Zsh and will be able to make an informed decision whether to switch from your distro's default shell. We'll be looking more at the interactive use of Zsh, and less at non‑interactive shell scripts - that is, we'll focus on daily use, and not on scripting and automating tasks." "Occasionally, when using the version control system Git, you may find yourself committing a file you didn't intend to. For example, you might want to commit two files separately, with different log messages (making it easier to roll back unconnected changes separately), but accidentally use the usually helpful shortcut git commit -a and commit both at once. Happily, there is a simple solution to this: (...)"
"GUI debuggers are the norm these days, however, I still feel the urge to do a little printf-debugging now and then. It might be wrong, it might be silly but it works. I like to develop the odd graphical application and I like use Qt. For Qt, the nice Norwegian Trolls have provided the qDebug function. You can use it right away just like your old trusted printf: (...)"
"Learn how to create partitions on a disk drive and how to format them for use on a Linux® system as swap or data space. You can use the material in this article to study for the LPI 101 exam for Linux system administrator certification, or just to learn about partitions and Linux filesystems for your own use." "Last week was my last with Novell. This week is my first with litl. Novell was a great place to work and I recommend it to anyone. I will miss the Mono Accessibility team, but the beauty of being an open source project is that I can just pop into IRC or review some code on ReviewBoard when I'm feeling nostalgic. At litl, I'll be working with Brad and his crack team to make the channel experience EVEN MORE AWESOME." "I have an Acer laptop for about 5 years. It includes a generously 512MB of RAM, Intel Centrino 1.6Ghz (M730 processor to be more precise), ATI Mobility Radeon x600 64MB VRAM, 80GB HDD, yada yada yada. The battery is in an awesome shape if we consider the age and the usage I put on it during this time - previously 3 hours fully charged and now around 2 hours, so... I couldn't have asked for better. Nevertheless, the laptop has an 15.4" display and weighs 3Kg with battery plus the charger which I have to take always with me otherwise the battery would ran out quickly. All this factors led me to buy a new laptop with the main features to consider and give more priority on the weight, battery and size. I didn't want to buy again a new 15.4", up to 4 or 5 hours of battery, and weighed laptop. Basically the requirements were: 12" or 13" screen, up to 2Kg, battery that lasted at least 7 or 8 hours (wireless and reasonable screen brightness), 4GB of RAM or more, and obviously a "good" brand (Sony, Lenovo, Apple, Dell, and HP were on top of the list), not to mention a decent price I could afford. A few hours/days later I decided to pick an Apple Macbook Pro 13" 2.4GHz, not because of the Mac OS X as some might be imagining by now but because of the hardware itself." "I thought it was about time that I enlightened people as to what the state of play is with my efforts of getting MeeGo 1.0 for Netbooks on openSUSE. The good news is I think I'm pretty much there :-) I believe all the essential packages are built now, although there is a *lot* of work to be done in getting the packages into Factory. The outstanding work is mostly spec file housekeeping but non the less it will be a relatively laborious task. (...)"
Grub Legacy or grub 2? In 11.3? "User asks about which version of Grub is part of openSUSE 11.3. A discussion results on the merits or not of each..."
"With many users running kde-factory, it seemed prudent to give them notice of possible issues that may come about post 11.3"
"Nothing unusual that a user should ask for help, but nothing is ever straightforward is it and some quirky happenings can been seen here." "11.3 is due for release and the repositories are in place, which means users can update 'dup' from their current state." LenZ Grimmer: OpenSQL Camp Europe: Time to cast your votes! "If you wonder why there hasn't been an update from me for quite a while — I just returned from two months of paternal leave, in which I actually managed to stay away from the PC most of the time. In the meanwhile, I've officially become an Oracle employee and there is a lot of administrative things to take care of... But it feels good to be back! During my absence, Giuseppe and Felix kicked off the Call for Papers for this year's European OpenSQL Camp, which will again take place in parallel to FrOSCon in St. Augustin (Germany) on August 21st/22nd. We've received a number of great submissions, now we would like to ask our community about your favourites!" "I’m just back from the Mozilla Summit 2010 and I’m pretty excited about the demos I’ve seen there about the future of Firefox and the open web. And once Firefox 4 with WebGL support will be out we will hit again the problematic situation on Linux about X.org, OpenGL and graphics drivers. (And for this moment I still need to embed the above video as Flash object to not ignore the people using non-WebM enabled browsers ;-) )"
"This September, a new desktop will be unveiled to the world in the form of GNOME 3. This desktop will change the way people view, work with, and think of the desktop. It's different, it's intuitive, and it follows the current evolution of what the desktop should be. But best of all, it's all about Linux. Back in 2008 a few of the GNOME developers met and came to the conclusion that there was a lack of excitement surrounding GNOME and the Linux desktop. They needed a new vision. From that, and after a few years, that vision started to develop into a working, solid desktop that will be the new branch of GNOME this year." "The growing success of open source software has naturally spurred on others to apply its lessons elsewhere. Open content is perhaps the most famous translation, notably through the widely-used Creative Commons licences. But one of the most challenging domains to come up with something equivalent to the Open Source Definition (OSD) is hardware – not surprisingly, perhaps, since hardware is analogue, not digital, and hence very different in nature." "I've been using SUSE Linux since its start in 1994 and then, as now, I like this strong desktop Linux distribution. Of course, openSUSE 11.3, the latest version, doesn't look a lot like that vintage Slackware variant, but one thing has remained the same. Today's OpenSUSE is a Linux for users, not developers or Linux technicians." "The openSUSE project has announced the official release of openSUSE 11.3, a major update of the popular Linux distribution. The new version brings several noteworthy technical improvements and new features for users and developers. It ships with version 2.6.34 of the Linux kernel and Xorg 7.5. The new open source Nouveau driver is used by default for NVIDIA-based graphics cards now and kernel mode setting is enabled by default for supported hardware. openSUSE's Zypper command-line tool got several improvements in this release, including support for removing dependencies that are no longer needed." " How is a Linux distribution put together? For Novell's openSUSE, it starts with its newly improved Build Service 2.0. The open source openSUSE Build Service 2.0 release is the system that helps to build the openSUSE distribution, which was updated this week with the 11.3 release. " "As you all know I am a Linux Lover. If you didn't know then you do now :) I use Linux at home, at work and I will blather on about it given half of a quarter of a chance. So what! You may think. Just another pot bellied four eyed long haired geek who still wishes he had his pocket protector. True, I am one of those people, although I never had a pocket protector and my belly is quite a bit larger than a pot :) I was the same sort of person when I was just as in love with windows as I now am with Linux. The person I am has not changed, except for domestication caused by marriage. Just the operating system. [...]"
"The upcoming Black Hat security conference in Las Vegas offers an annual parade of security researchers revealing new ways to break various elements of the Internet. But few of the talks have titles quite as alarming as one on this year's schedule: "How to Hack Millions of Routers."" This page was last modified on 29 July 2010, at 14:41. This page has been accessed 75,296 times.